Land Rover has always claimed that its cars can go anywhere, not because its customers will ever use their cars in that way, but because they expect to be able to. 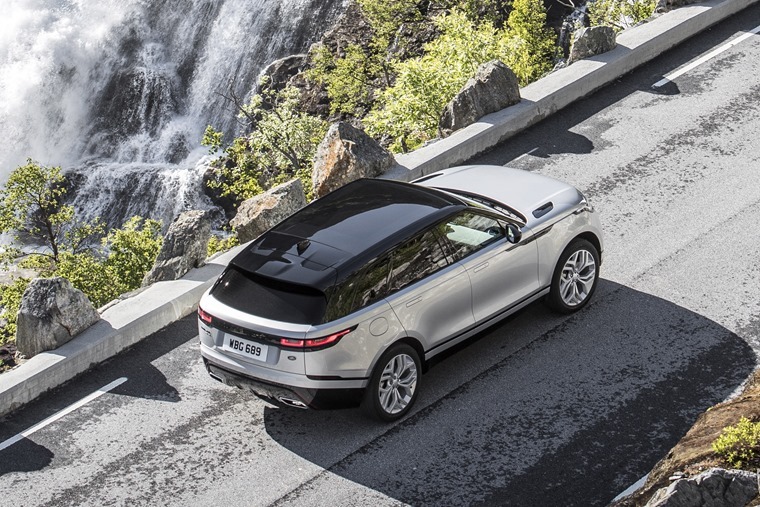 That view softened a little when the Evoque became available in front-wheel drive form, and the Velar might be the next hint that customer demand is changing. The Velar eschews the high ride height found on the likes of Discovery and the ‘proper’ Range Rover, and shares most of its oily bits under that sultry skin with the very not off-road Jaguar XF saloon. 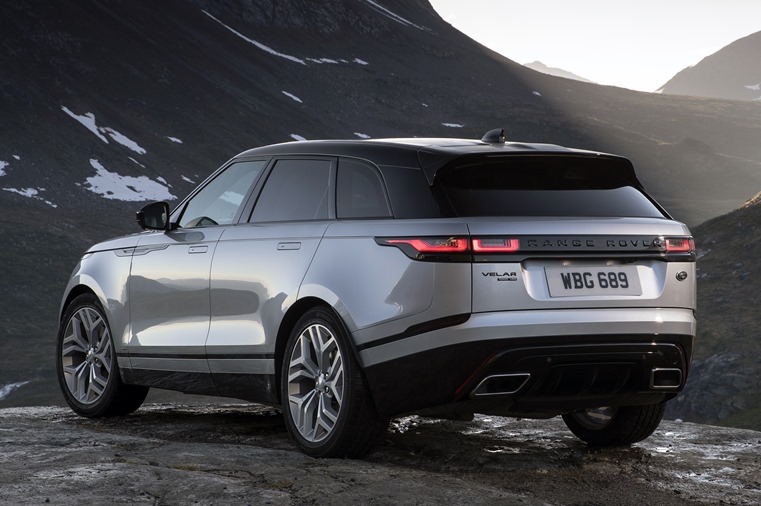 However, it doesn’t mean that off-road ability has been entirely forgotten about, as you’ll find if you point the Velar towards some less than optimum ground and see what happens. Thanks to four-wheel drive and trick electronics with settings available for rocks, mud, snow, sand and pretty much every other terrain you can imagine, the Velar will make a better go of it than pretty much anything this side of a ‘proper’ Land Rover, but the huge 22in wheels will make you wince every time you get near a rock. It’s on-road that the Velar makes a lot more sense. With air suspension smoothing off any bumps, but with those tyres being so short in the sidewalls, every ripple and crack is transmitted through to the cabin. Driving modes switch the air suspension between Comfort, Sport and a variety of off-road modes, but none really fit perfectly on tarmac – the comfort mode is just a little too vague, while Sport starts transmitting all sorts of vibrations and clunks from the road. 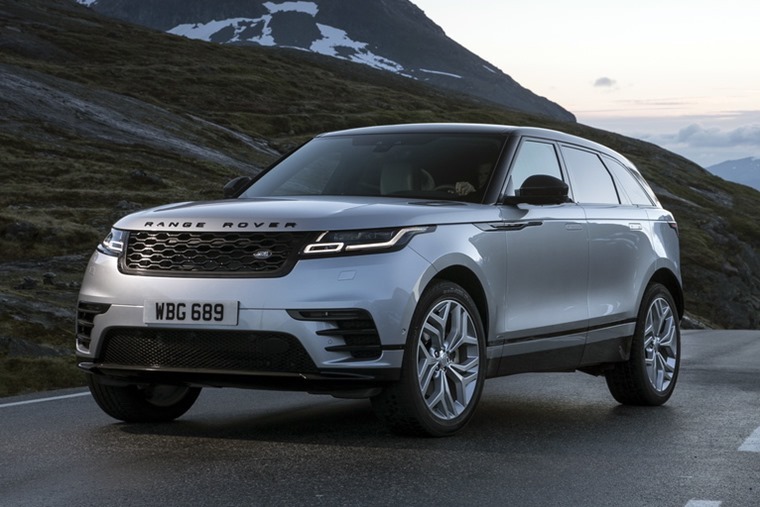 As the tyres are monumentally wide the grip levels are very high, but the two-tonne Velar is never going to give a sports car a run for its money. The front end feels heavy and saps confidence as you turn in and wait for everything to react, but once it does it stays true to its line. There’s plenty of pace to keep things interesting too, at least on this test model. Under that sleek bonnet is a 3.0-litre V6 petrol engine that’s been supercharged; the resulting 375bhp goes through an eight-speed automatic gearbox to the four-wheel drive system, itself biased towards the rear. The 0-62mpg dash is dealt with in just 5.3 seconds, while maximum speed is limited to 155mph for those feeling brave. Antisocial speeds can be attained without really noticing, as the cabin is spectacularly good. 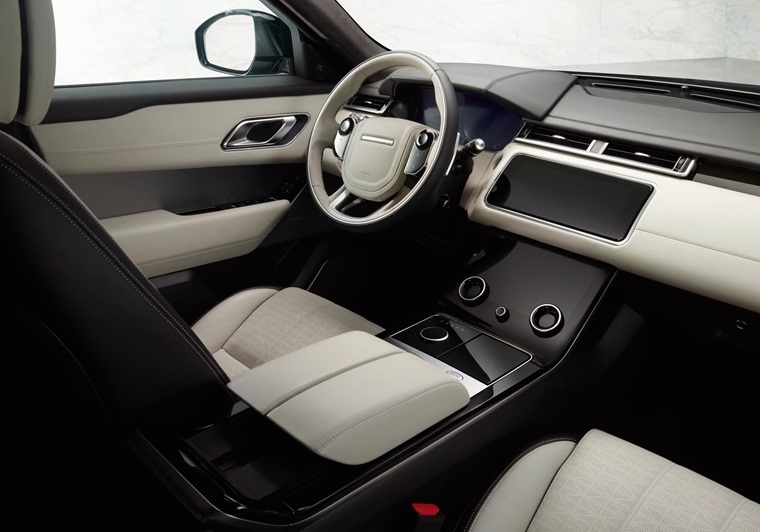 It marks a new high in Land Rover’s never-ending quest for luxury but still retains the basic design cues that make a Range Rover identifiable. The centre switchgear has been replaced by a pair of glossy touchscreens, almost as if a couple of iPhones have been glued in place, complete with apps and settings to change virtually anything about the car. It looks fabulous but, sadly, it’s not particularly intuitive and can be slow at times. It’s also rather hard to navigate when driving, with multiple finger stabs to the screen being required before the right icon has been selected. Is it worth sacrificing usability for cutting edge tech? The sheer drama of the cabin suggests it is, although road safety experts will argue otherwise. The highlight has to be the digital buttons on the steering wheel. Rotate your thumb over the roundel and the audio volume changes, but press the middle and the graphics on the button change to display up and down switches for changing stations, or adjusting settings displayed on the instrument panel. It’s an area ripe for development as it works well; while the touchscreens might not do their fair share for road safety, the steering wheel buttons shift the balance back. On a more practical level, the Velar is almost as spacious as a full-blown Range Rover, with plenty of space for four adults or even five at a squeeze. Mostly swathed in lovely leather and wood or aluminium, there are some worryingly cheap plastics on show in places including one panel with a sharp corner that kept catching my jeans. Go beyond the cabin and there’s a boot capacious enough to accommodate all but the bulkiest of items. There are cheaper Velars than the First Edition .. the D240 SE is the sweet spot. As sensible and appealing as it all is though, this particular ‘First Edition’ just doesn’t make sense. Cash buyers will need to find £85,000 or so to get their hands on one, while the most restrictive lease deals are likely to be north of £1,000 a month. That glorious petrol engine provides plenty of speed (and noise) but the chassis can’t keep up with it, and economy of 25mpg is probably best described as optimistic. 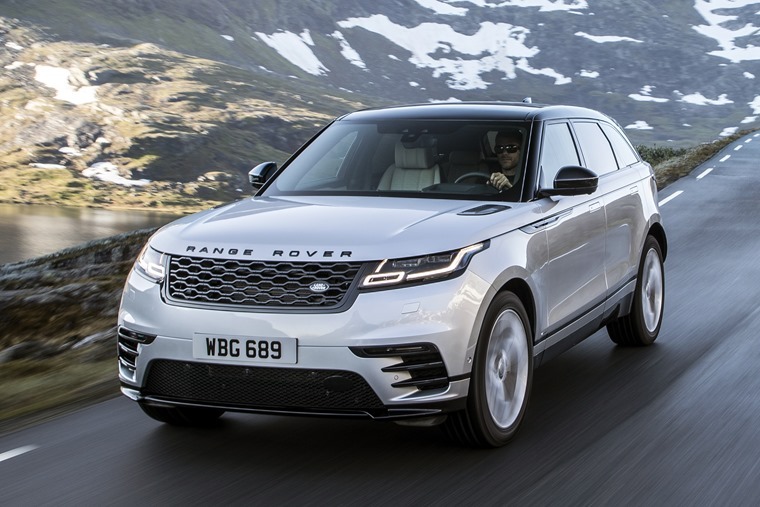 There’s plenty of luxury on offer, but it’s at a price that matches a real Range Rover, and that does the whole luxury thing better than a Velar, and will go further off-road, too. There is good news elsewhere in the Velar range though, as most of the issues with this test car are specific to the First Edition where it’s nether luxury enough, sporty enough, or value enough. HSE models save thousands and offer almost as much, while the D240 SE strikes a fine balance between performance and luxury pretensions. It’s got all of the function of the First Edition, and just as much style, but without quite so many unnecessary extras. And, vitally, without quite such a big lease cost. The Velar is available for around £400 a month, while the D240 SE sweet spot adds just a hundred to that. If the Velar is your thing, then that’s a fine place to put your money.